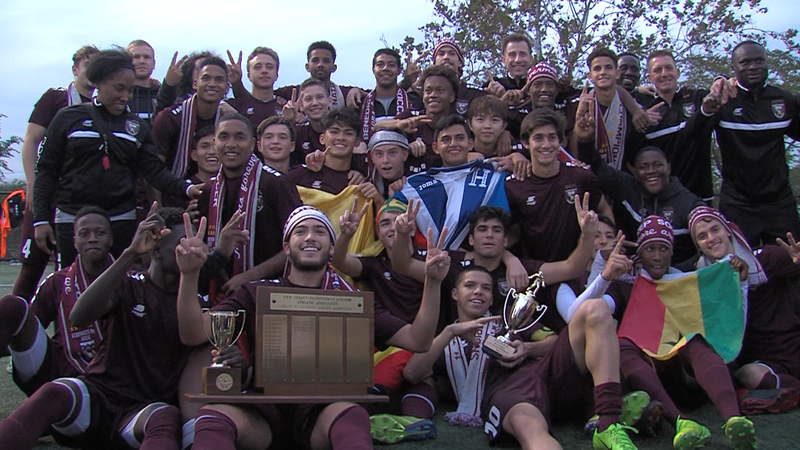 Check out our State Tournament soccer coverage from 10.29 now! 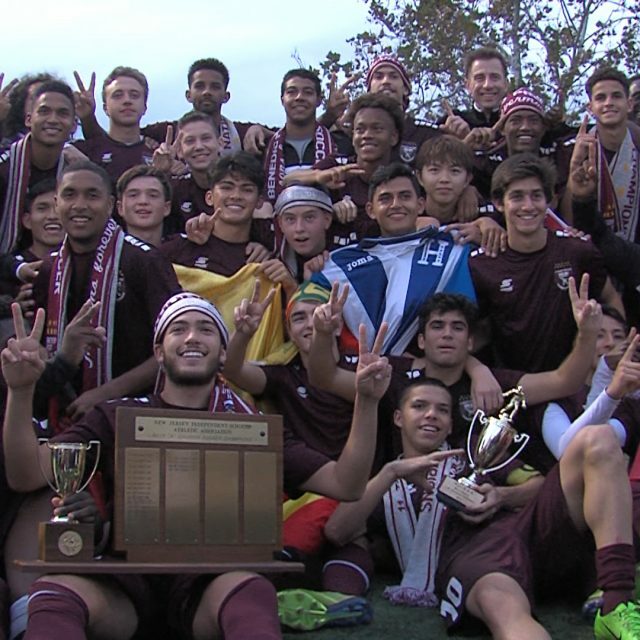 It’s state semifinal Tuesday in New Jersey high school soccer! JSZ brings you nine games from around the state! 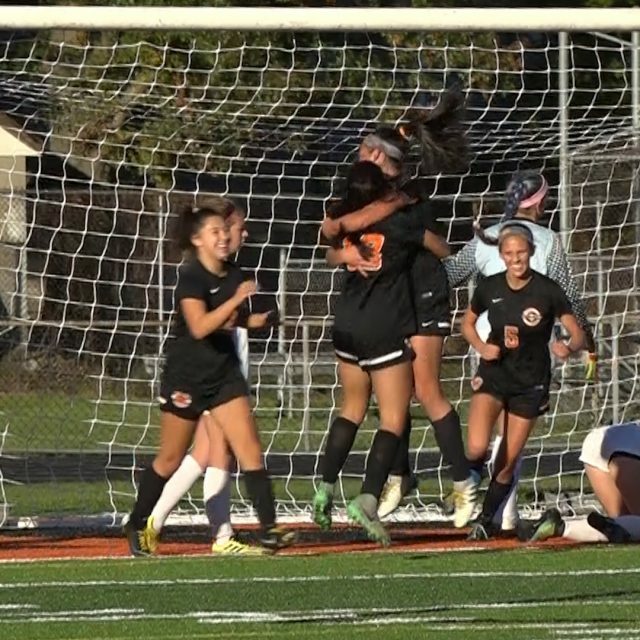 Northern Highlands 1 Middletown North 0 (OT) | Group 3 Girls State Semifinals With time winding down in overtime, Northern Highlands sophomore Reagan Klarmann kneed in the game-winning goal to push the Highlanders to yet another Group 3 title game. An incredibly even match throughout, both the Highlanders and Lions have chances to win. 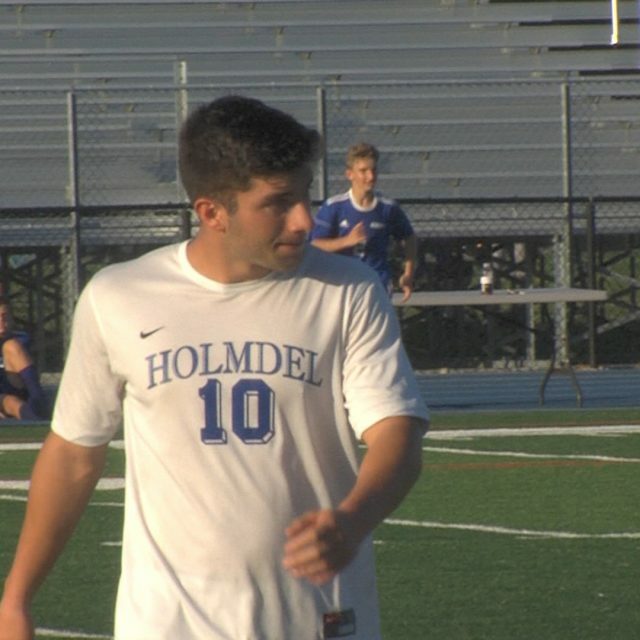 JSZ’s Jay Cook has the highlights from a thriller at Livingston High School: Holmdel 2 Delran 1 | Group 2 Boys State Semifinals In a rematch of last year’s semifinals No. 3 Holmdel and No. 7 Delran faced off with much more on the line than bragging rights Tuesday evening. The Hornets got ahead on a goal from Jack Russo, but Delran answered with a score of their own to leave us tied by the 20 minute mark. Late in the second half Anthony Arena would find net to send reigning Group 2 State Champions Holmdel back to the title game. JSZ’s Nery Rodriguez has the highlights: Ocean Township 3 Seneca 0 | Group 3 Boys State Semifinals Leo Montesinos blast a 29-yard direct kick with under four minutes to go in the first half and Andrew Yates and Luke Yates scored goals 2:12 apart in the second half to give the Spartans a spot in the Group 3 state finals this Saturday at Kean against Millburn. 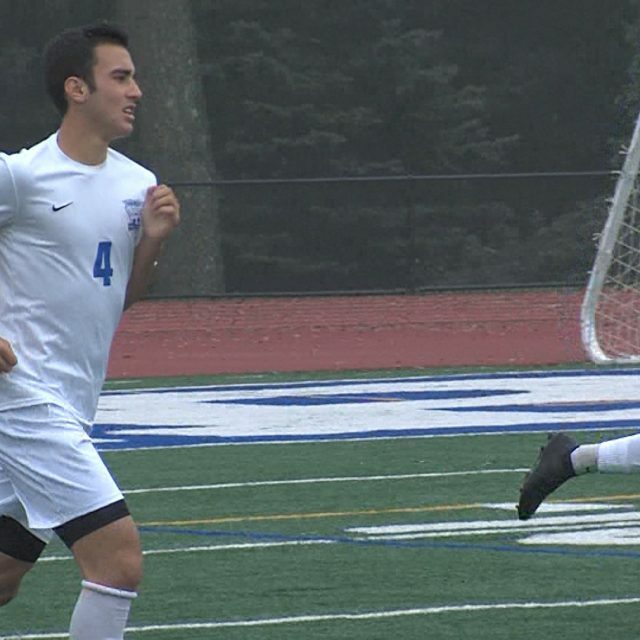 JSZ has the highlights from Toms River North: Millburn 2 Paramus 1 | Group 3 Boys State Semifinals Evan Berney’s goal in the 63rd minute proved to be the game-winner as the Millburn Millers advance to the Group 3 state title game this weekend at Kean University. Rory McLaughlin also tallied an equalizer earlier in the match from a free kick. 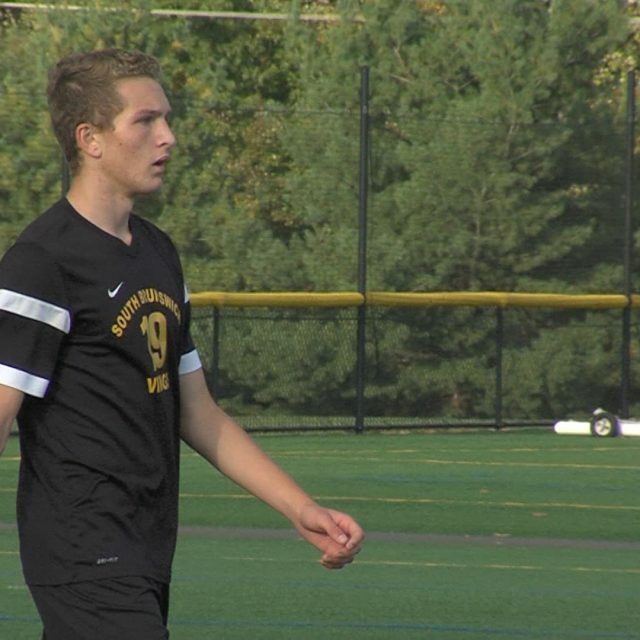 JSZ’s Jay Cook has all the highlights from Livingston High School: Elizabeth 3 Morris Knolls 0 | Group 4 Boys State Semifinals The Morris Knolls Golden Eagles upset the Elizabeth Minutemen in the Group IV State Semifinal game at Franklin High School. Scalici & Furlong lead the way to victory. Our MMJ Courtney DuPont has all the highlights for you now: Washington Township 4 East Brunswick 0 | Group 4 Boys State Semifinal Chad Yates scores two goals to lead Washington Township (24-1) to the state championship on Saturday morning at Kean against Morris Knolls. 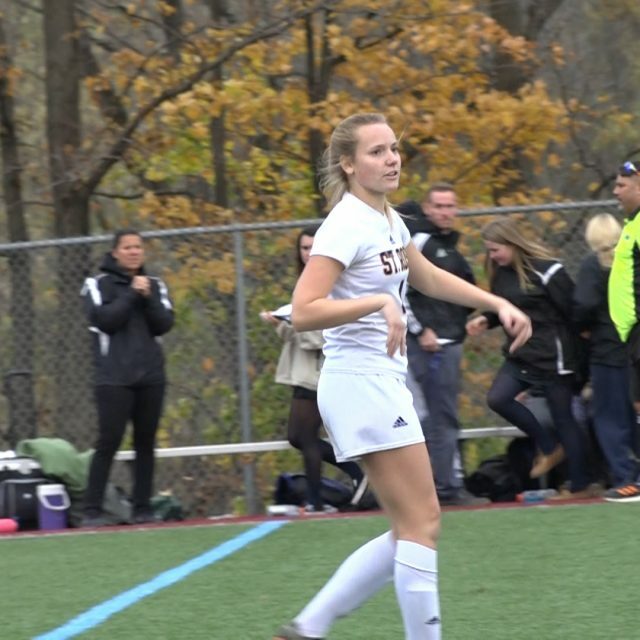 SNJ Today’s Mike Frankel has the highlights from Rowan University: Bridgewater-Raritan 2 West Orange 0 | Group 4 Girls State Semifinals Bridgewater-Raritan eliminated West Orange in the North 1 Group 4 State Semifinals at Franklin High School. They are now heading off to the state final game at Kean University for the 6th time in school history. Courtney DuPont has the full highlights for you: Sponsor Alert!! Coverage of Bridgewater-Raritan is brought to you by Princeton Ortho & Total Rehab! Moorestown 2 Brick Township 0 | Group 3 Girls Semifinal Julia Dalmass scored an amazing 60-yard goal on a free kick and Cici Imhotep on the Quakers on the board in the 13th minute as Moorestown gets its fourth consecutive shutout. The Quakers will face Northern Highlands for the Group 3 state championship on Sunday at 5:30 pm at Kean University. JSZ has highlights and post-match reaction from Toms River: Thanks to NJM Insurance for allowing us to capture great moments from Moorestown High all year long! Gov. Livingston 1 Delsea 0 | Group 2 Girls State Semifinals Governor Livingston reached the Group 2 State Finals for the first time in over 30 years with a 1-0 win over Delsea. After a scoreless first half Freshman Allie Post with 10 minutes remaining gave the Highlanders the only lead of the game for either team with a late score. GL would then looked to it’s defense to close out the match. 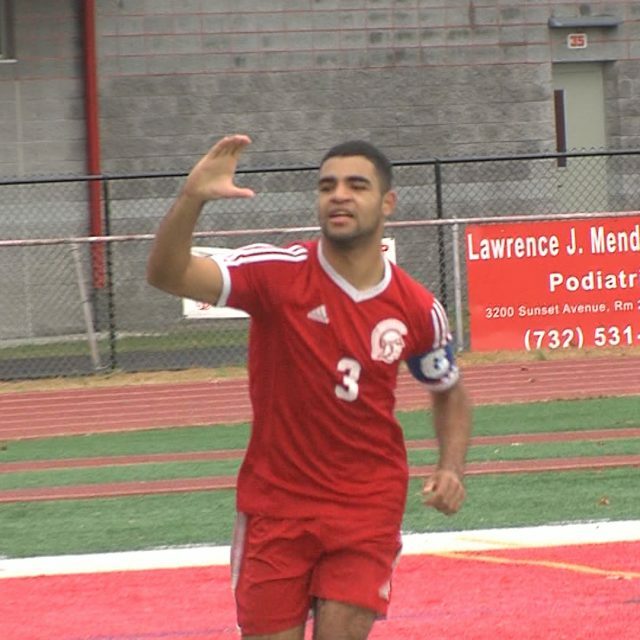 JSZ’s Nery Rodriguez has the highlights: Thank you to NJM Insurance for sponsoring our Delsea coverage! 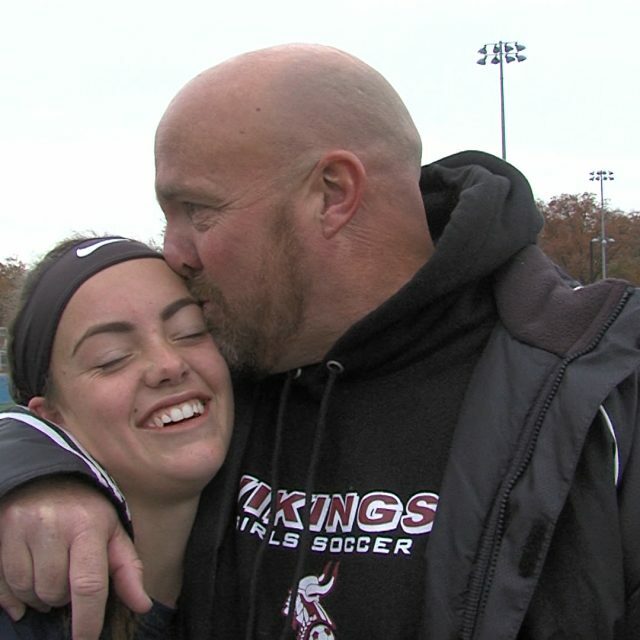 Thanks to weather postponements, we have Wednesday state girls soccer playoffs. We’ve got a dramatic finish courtesy of Old Bridge, a Saint Rose upset and dominating efforts by Red Bank Catholic and Moorestown. Red Bank Catholic 3 Mount Saint Mary 0 – Non-Public South “A” Semifinals Freshman Morgan Cupo got the scoring started in the first five minutes and seniors Casey Pavlick and Sofia Giamanco added second-half scores to put the Caseys in the Non-Public “A” South finals against Pingry on Thursday. JSZ has the highlights from Red Bank: Jersey Sports Zone’s coverage of Red Bank Catholic is brought to you by Playa Bowls of Red Bank Old Bridge 1 Monroe 0 – Central Group 4 Semifinals Wednesday’s Central Group 4 Semifinal between Greater Middlesex Conference rivals 11th seed Monroe and second seed Old Bridge was a physical thrill ride that needed more than 80 minutes to play. 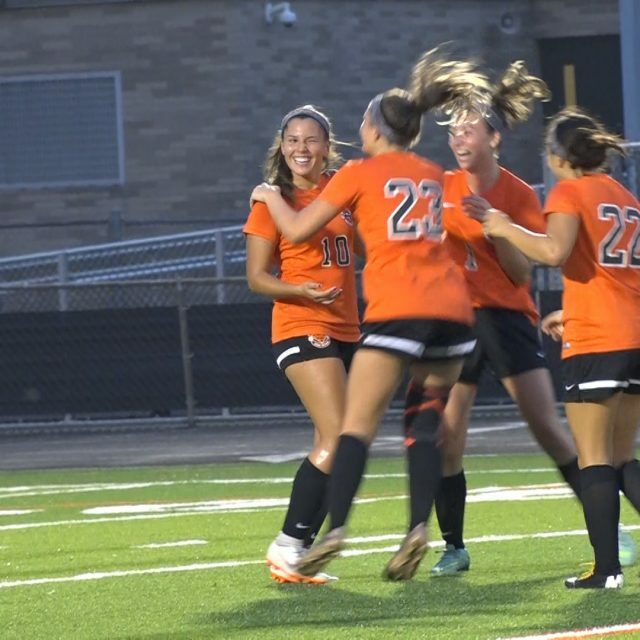 With two minutes remaining in the first overtime sophomore Emmi DeNovellis scored the only goal of the game to send the Knights to their first sectional final in six years. They will face top seed Hunterdon Central on 11/9. 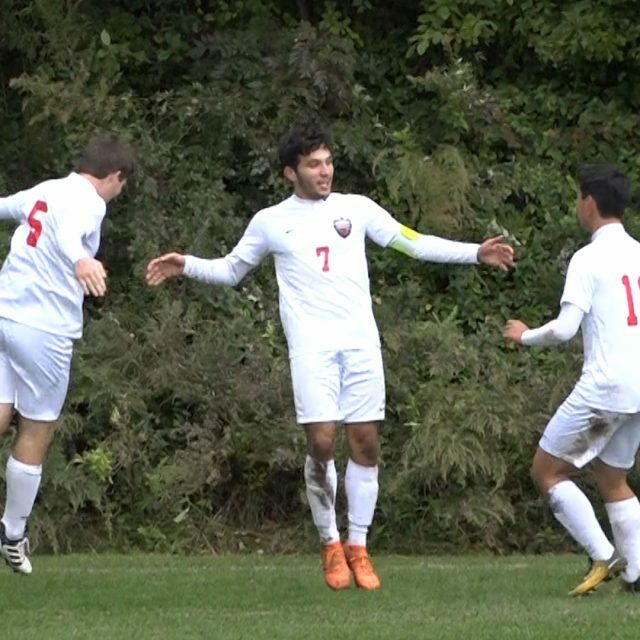 JSZ’s Nery Rodriguez has the highlights: Thank you to Princeton Orthopaedic Associates for sponsoring our Monroe coverage! St. Rose 1 Rutgers Prep 0 | 2018 NJSIAA Non-Public “B” South Semifinals The 3 seed takes out the 2 seed in the South Non-Public B Girls Tournament. St. Rose’s defense kept them in this one, while Gabrielle Hueth came in clutch with a late 2nd half goal for the win. 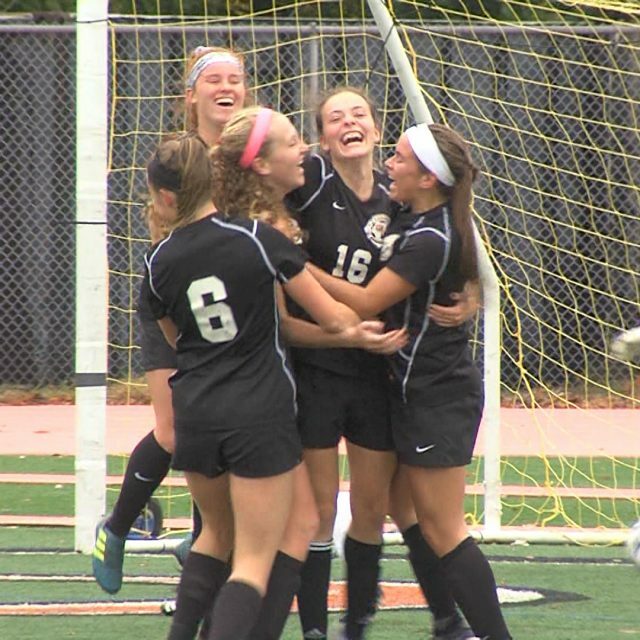 Check out full highlights now: Moorestown 5 Ocean City 0 – NJSIAA South Jersey, Group 3 Tournament, Semifinal The Moorestown Quakers scored three times in the first half of their semifinal game against Ocean City on Wednesday. Less than six minutes into play, senior Isa Arvelo put the Quakers on the scoreboard with a beautiful kick that made it in the top left corner. Just nine minutes later, junior Ciara Imhotep took advantage of her good field position, as she put up the second goal for Moorestown. Maggie Brown and Rylee Brown also each scored a goal for the Quakers. Additionally, Imhotep scored the last goal for Moorestown, and the Quakers walked away with a 5-0 South Jersey Group 3 Semifinal win on Wednesday. JSZ has the highlights from Moorestown: Thank you to NJM Insurance for sponsoring our Moorestown coverage! Let’s get it going! 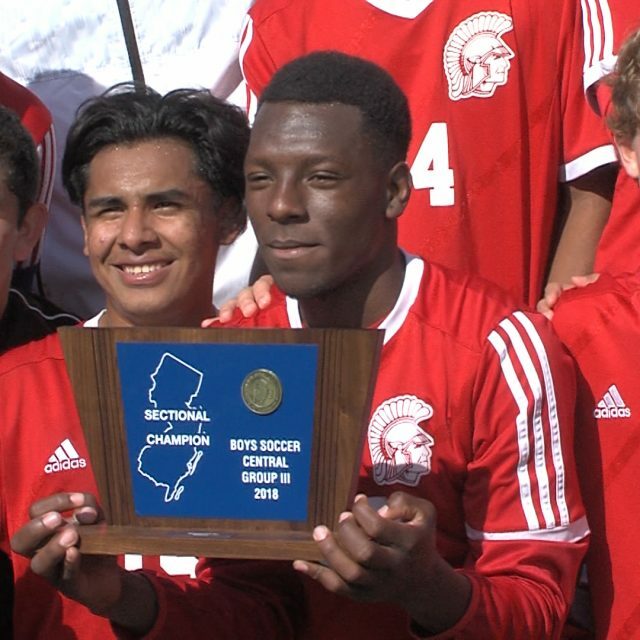 JSZ has coverage from across the state for the opening day of the NJSIAA boys soccer state tournament. Highlights will be posted throughout the evening so make sure to check back in later and watch. No. 14 Middletown South 2 No. 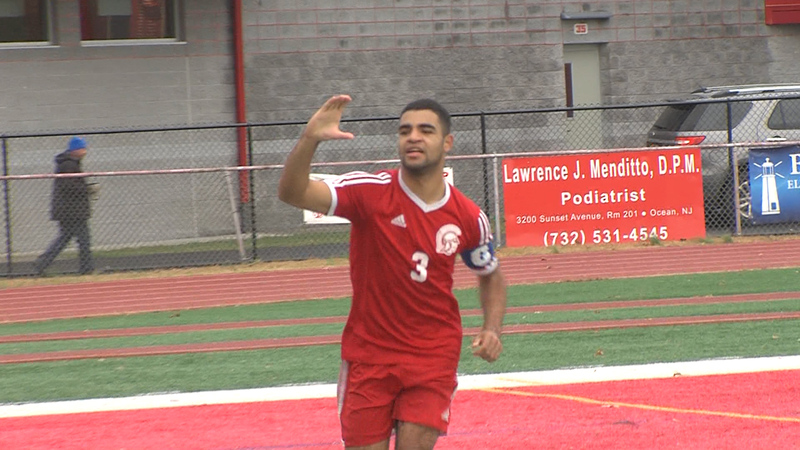 3 Hillsborough 1 | Central Jersey Group 4 State Tournament Round 1 UPSET ALERT!! 14 seed Middletown South took down the 3 seed Hillsborough in the Central Jersey Group 4 State Tournament. Jon Santos played a major roll in the win, assisting both Middletown South goals. Our MMJ Courtney DuPont has the highlights for you: 2X Sponsor Alert!! Coverage of Middletown South is brought to you by our friends at the Monmouth Building Center and coverage of Hillsborough is brought to you by Princeton Ortho!! Thank you to both of our dedicated sponsors for the continued support! #8 Red Bank Catholic 2 #9 Saint John Vianney 1 – Non-Public South “A” Boys First Round Alex Nichols set up two goals in the final seven minutes as the Caseys score a dramatic win in the first round of the state playoffs. Nichols fed John Duffy for a goal with 7:01 remaining to draw even. With 2:31 to go, Nichols delivered a perfect cross on the corner kick that Andrew Colannino headed home for the game winner. 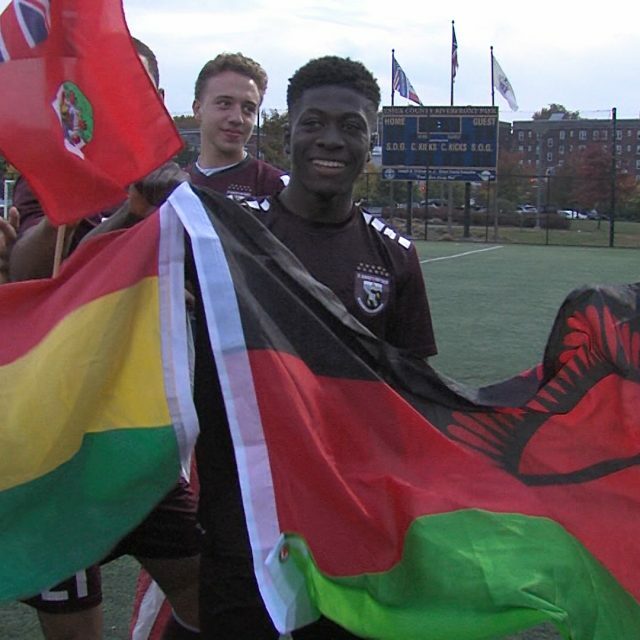 JSZ has the highlights and post-match reaction from Red Bank: Thanks to BCB-Bayshore (St. John Vianney) and Playa Bowls of Red Bank (RBC) for sponsoring JSZ’s high school sports coverage! #2 Ocean Township 4 #15 Nottingham 1 – Central Jersey Group 3 Boys First Round Luke Yates had a goal and an assist to lead a balanced scoring attack as the Spartans broke a 1-1 tie with three unanswered goals to move on to the Central Jersey Group 2 quarterfinals and a date with #10 seed Burlington Township. JSZ has the highlights and post-match reaction from Madison Bess in Oakhurst: Thanks to Princeton Orthopaedic Associates for sponsoring JSZ’s coverage of the Nottingham Northstars #6 Raritan 5 #11 Monmouth Regional 0 – Central Jersey Group 2 Boys First Round Nick Bavaro and Anthony Sparacino nailed two goals each and Jake Fortune scored his 12th goal of the season as Raritan blasted through the Monmouth Regional defense to a 5-0 win. The Rockets will prepare for another home match later this week against #14-seeded Shore Regional. Check out the highlights now: Sponsor Shoutout! Jersey Sports Zone was able to bring you these highlights thanks to our great sponsors Monmouth Building Center (Monmouth Regional) and BCB Bayshore (Raritan). 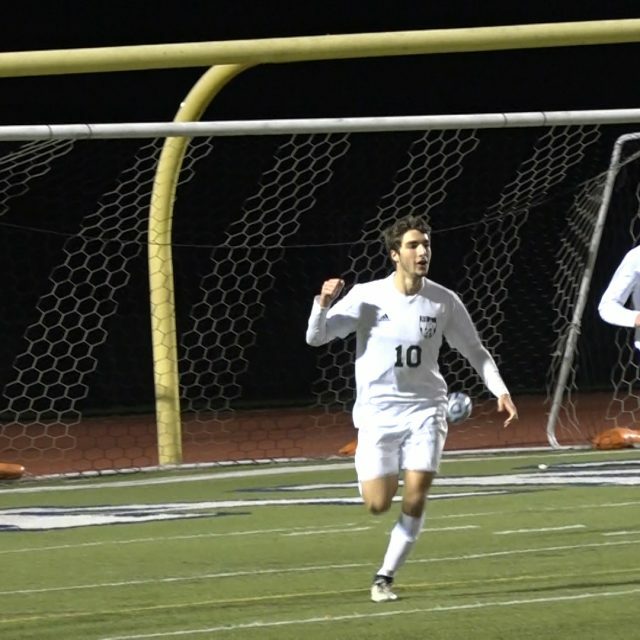 #9 Robbinsville 1 #8 Metuchen 0 – Central Jersey Group 2 Boys First Round First round of the Boys Central Group 2 State Soccer Tournament featured ninth seed Robbinsville versus eighth seed Metuchen. After a scoreless first half Ravens Captain George Fotiou hit a goal in the 49’ to take a 1-0 lead. Robbinsville Goalkeeper Eric Schreir with five saves would help record a shutout to send them to the second round of the tournament to face top-seeded Holmdel. Watch the highlights now: Thank you to Princeton Orthopaedic Associates for sponsoring our Robbinsville coverage. We look forward to bringing you more Raven athletics all year round! What a day in the Shore Conference. JSZ has all the coverage from the thrilling boys and girls SCT finals which gave fans from Ocean Township and Toms River reason to celebrate. 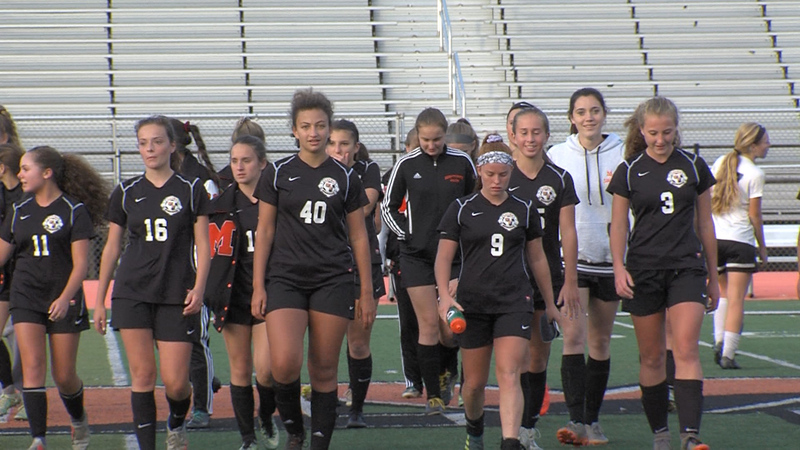 Make sure to check in and get all the Shore Conference highlights here, along with another girls soccer game that kicks off the Prep A tournament. 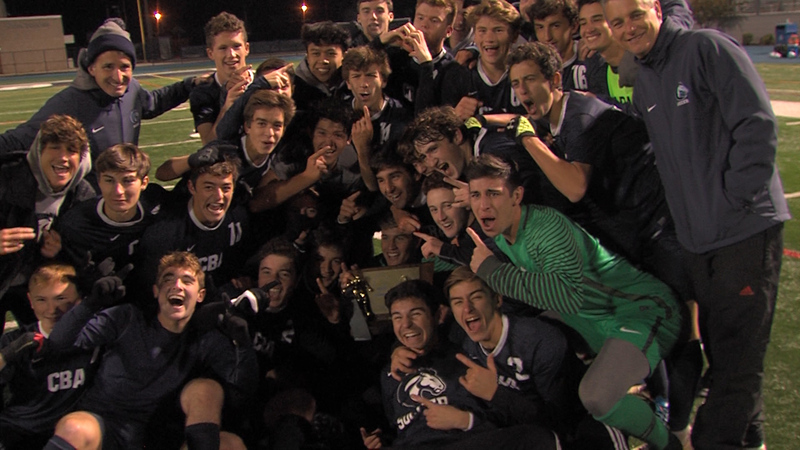 #4 Ocean Township 1 #3 CBA 0 | Shore Conference Tournament Boys Finals Leo Montesinos scored the golden goal on a header 3:05 into the second overtime period and Max Winters had 10 saves to give the Spartans their 5th SCT crown. 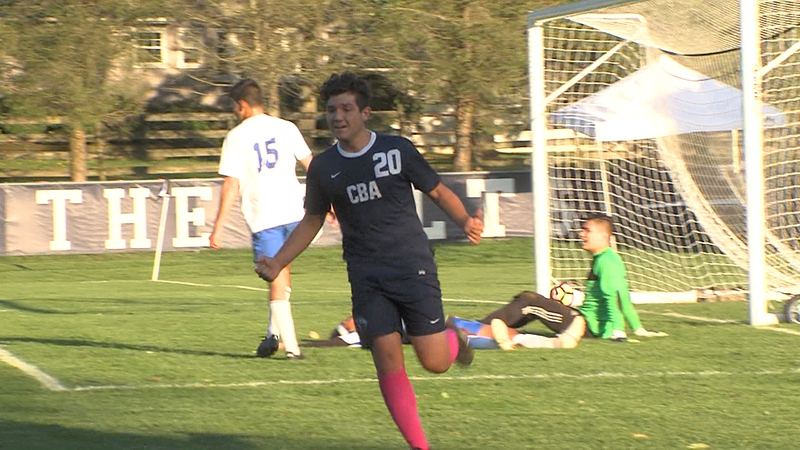 CBA controlled possession for nearly the entire 93 minutes and had numerous scoring chances, but the Spartans made the most of their one and only scoring opportunity. Ocean beats two top 10 ranked teams in back to back games to claim the Shore Conference title. Watch the highlights from Point Pleasant Boro along with great post-match reaction: #5 Toms River North 1 vs. #2 Red Bank Catholic 0 | Shore Conference Tournament Girls Finals Alexa Peto’s strike in the 28th minute actually served as the game-winner as the Toms River North Mariners upset Red Bank Catholic in a tight 1-0 game at Point Pleasant Borough High School. The Mariners have played lock-down defense throughout the SCT, allowing only one goal along the way. JSZ’s Jay Cook has the highlights from an impressive Toms River North win: Sponsor Shoutout! Thanks to CJA Construction (Toms River North) and Playa Bowls of Red Bank (Red Bank Catholic), Jersey Sports Zone is able to bring you extended highlights of the Shore Conference Tournament girls soccer finals! Oak Knoll 3 Hun 2 | Prep “A” Tournament Quarterfinals Oak Knoll takes the victory and advances to the tournament semifinals, after an unusual overtime, where they will face Blair Academy. Usually in high school soccer a golden goal ends OT, but in this matchup the Royals and Raiders played by World Cup rules and went a full extra 20 minutes. Check out full highlights of this exciting prep school matchup now: Sponsor Alert!! Coverage of Hun is brought to you by Princeton Ortho! Thank you Princeton Ortho for the continued support! It’s tournament time around the state of New Jersey and Jersey Sports Zone will be out there for the remainder of this fall covering soccer county and state tournaments. 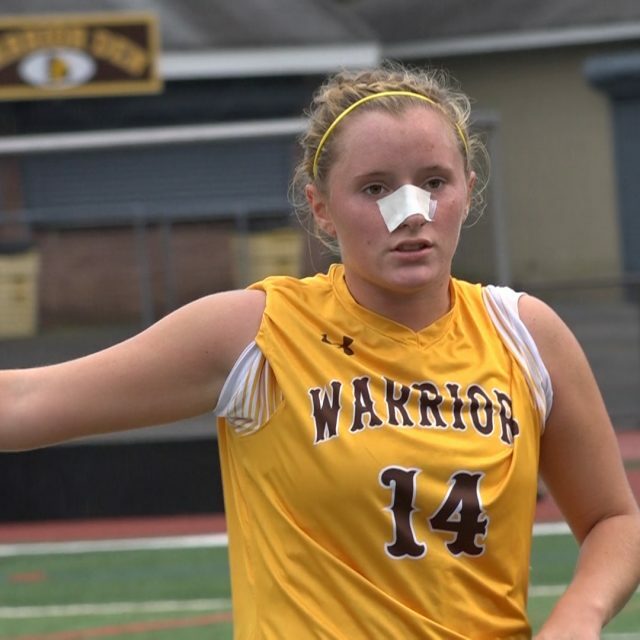 Tuesday’s action has four girls games from around the Garden State — three from the Shore Conference Tournament bracket and a Greater Middlesex Conference (GMC) showdown. 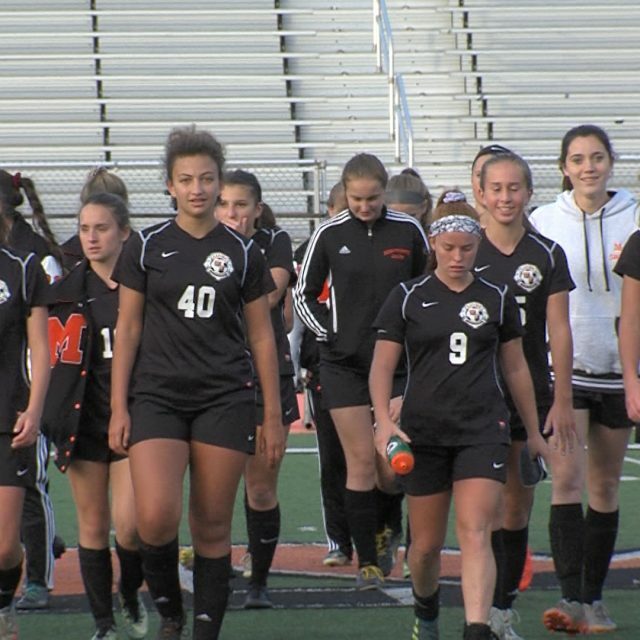 Shore Conference Tournament – #1 Middletown North 4 vs. #16 Jackson Memorial 1 – Girls Soccer Goals from Katelyn Reid, Darien Rinn, Emily McCarthy and Lindsay O’Keefe aided Middletown North through the opening round of the girls Shore Conference Tournament against Jackson Memorial. The Lions are now 15-0 on the season and are one of a few remaining undefeated teams left. JSZ has the highlights from the opening round in Middletown: Shore Conference Tournament – #2 Red Bank Catholic 2 #15 Southern Regional 0 – Girls Soccer Morgan Cupo scored her 10th goal of her freshman campaign and Caroline O’Connor added a penalty kick in the second half to give the Caseys a spot in the SCT quarterfinals and a matchup with rival Rumson-Fair Haven. JSZ has highlights from Red Bank: Jersey Sports Zone’s coverage of Red Bank Catholic is made possible by Playa Bowls of Red Bank Shore Conference Tournament – #5 Toms River North 3 #12 Saint John Vianney 0 – Girls Soccer Emily Royson scored in the first two minutes of the game and Marisa Tava and Alexa Peto added second-half goals to give the Mariners a spot in the Shore Conference Tournament quarterfinals and a matchup with #4 seed Shore Regional. 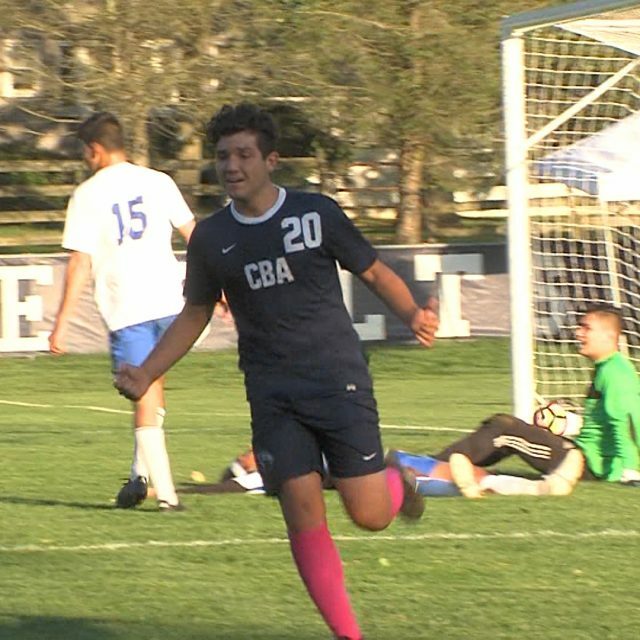 JSZ has the highlights from Toms River: Thanks to CJA Construction (TRN) and BCB-Bayshore (SJV) for sponsoring JSZ’s coverage of their hometown teams Old Bridge 2 Carteret 0 The first round of the Greater Middlesex Conference Tournament saw 15th seed Carteret taking on the second seed Old Bridge. The No. 20 Knights came in with eight straight shutouts. However, the story of the game was Carteret goalkeeper Demaraste Dorvilma who kept Old Bridge scoreless in the first half with her 16 save performance. After a score midway through second half Lauren Corless followed up with an additional score to seal the victory for the Knights. They will take no seventh seed Spotswood in the quarterfinal round of the GMC Tournament. JSZ’s Nery Rodriguez the highlights: Thank you to Campazino restaurant for sponsoring our Carteret coverage on JSZ. We look forward to bringing you more Rambler athletics all year long! 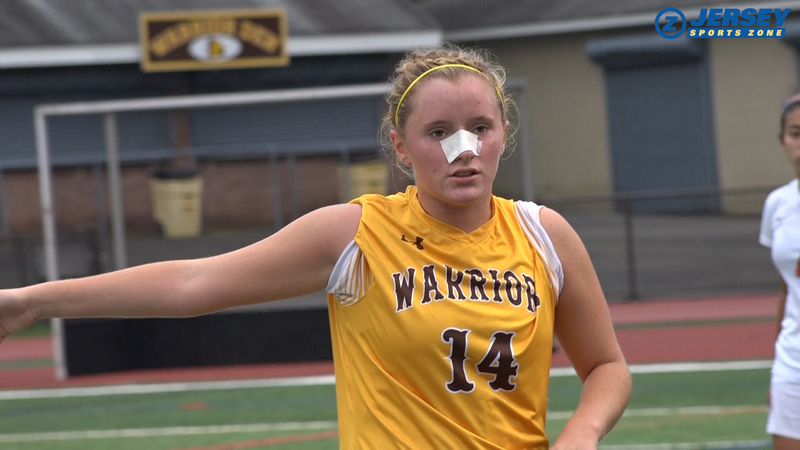 Two state-ranked teams out of the Shore Conference are featured on JSZ’s Wednesday highlights. Watch the 2nd ranked Holmdel Boys and the 20th ranked Red Bank Catholic girls pick up wins. 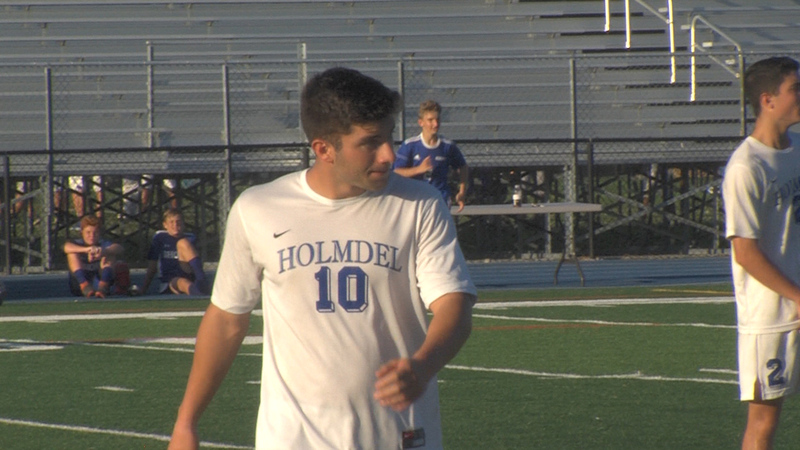 Holmdel 4 Shore Regional 1 – Boys Soccer Anthony Arena scored back-to-back goals in the second half to put the exclamation point on a 12th straight wins for the Hornets. The senior all-stater has been hampered by a hamstring injury, but is coming back into form just in time for post-season play . Ryan Ferguson and Joe Arena staked the Hornets to a 2-0 lead in the first half. Freshman Jao Victor Fonte Boa got Shore on the board early in the second half. 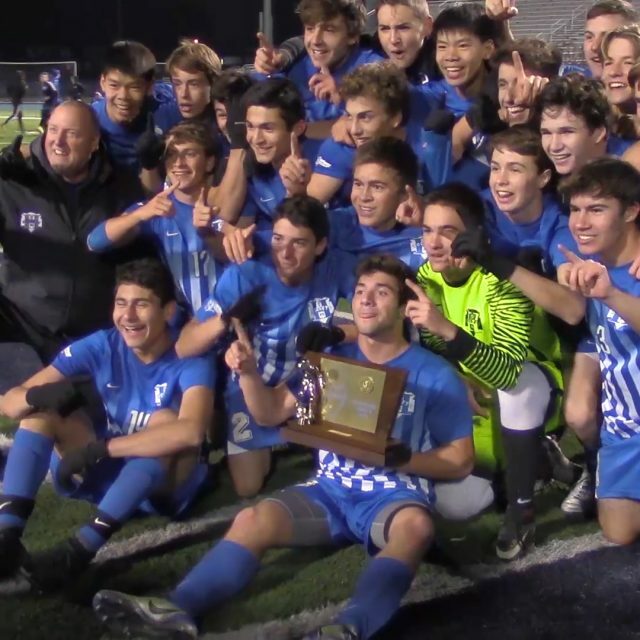 JSZ has highlights of Holmdel’s road win to secure the Shore Conference “A” Central title: JSZ’s coverage of Holmdel High is made possible by BCB-Bayshore, Your Community Bank. Red Bank Catholic 1 Monmouth Regional 0 – Girls Soccer A blast from Morgan Cupo in the 33rd minute was the lone goal in a tight Shore Conference divisional match against Monmouth Regional. Keeper Anthi Panayides also corralled in a half-dozen saves in the win. The Caseys will surely lock up a top spot in the Shore Conference Tournament set to kick off in the coming days. JSZ has the highlights from Red Bank: Double Sponsor Alert! JSZ always takes the time to thank its loyal sponsors. Shoutouts go to Monmouth Building Center (Monmouth Regional) and Playa Bowls (RBC) for sponsoring the coverage of this match. JSZ has highlights from three boys showdowns including Watchung Hills and Phillipsburg, Jackson Memorial clinching the Shore’s “A” South crown and the state ranked showdown between Pingry and Hillsborough Hillsborough 2 Pingry 1 The Raiders rallied from a 1-0 halftime deficit with goals from Justin Dominique and Alfredo Gonzalez to improve to 10-0-1 on the season and secure the top seed in the upcoming Somerset County Tournament. 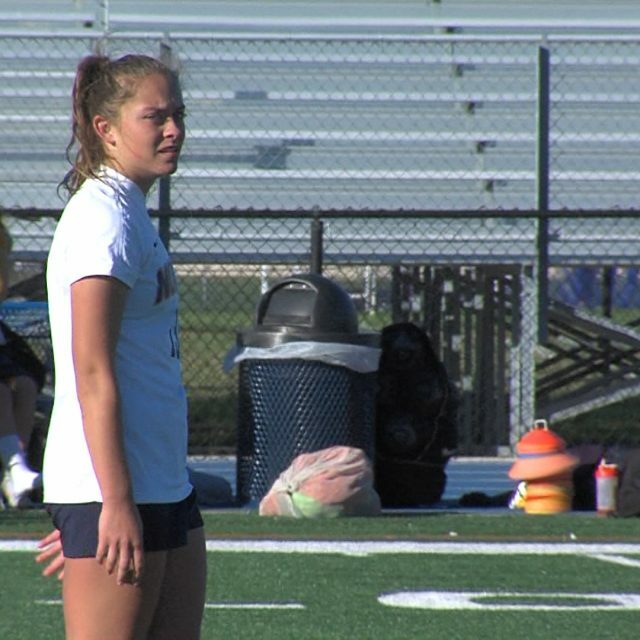 JSZ has the highlights and post-match reaction with Madison Bess: Jersey Sports Zone’s coverage of Hillsborough is made possible by Princeton Orthopaedic Associates Jackson Memorial 5 Toms River North 1 – Boys Soccer Joe Schlageter had a natural hat trick with the game’s first three goals and Dan Russo added two more as the Jags improve to 11-1 and clinch the Shore Conference’s “A” South crown for a second straight year. 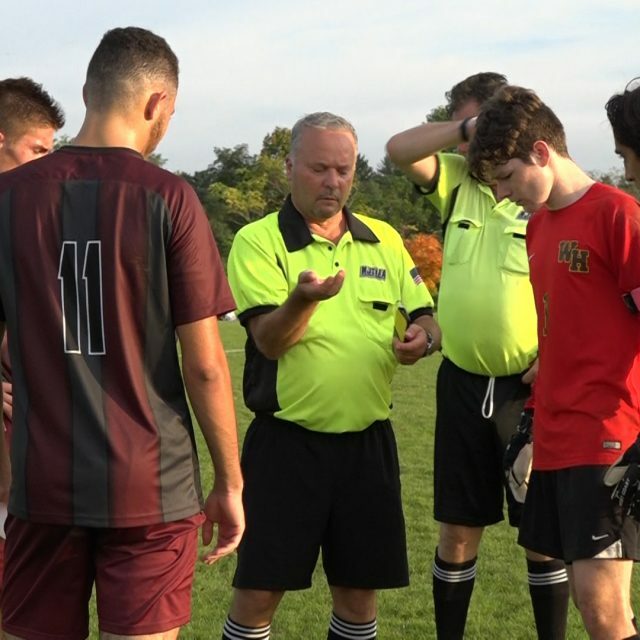 JSZ has the highlights of Shore Conference soccer in Jackson: Jersey Sports Zone’s coverage of Toms River North is made possible by CJA Construction Watchung Hills 3 Phillipsburg 3 – Boys Soccer Phillipsburg kept pace with Watchung. The Warriors came into this game with just one loss, but the Stateliners showed no fear. They stayed right with the Skyland Conference power throughout the game and end this one with a tie. Check out full highlights now: Sponsor Alert!! Coverage of Phillipsburg is brought to you by the Garnet Booster Club. Thank you Garnet Booster Club for the continued support!